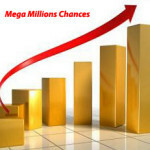 How to Increase Your Chances of Winning the Lottery Effectively? Several years ago this could be a struggle to complete since the required information was not easily accessible. Today, with the advent of computer technology and the World Wide Web you can access past draws on virtually any lottery around the globe. You may have to do this manually going through the past draws and identify the frequent numbers yourself. Some lottery providers will provide you with this kind of information instantly. Due to the fierce competition among lottery providers and the demand of their customers, we hope to see this feature become a common thing. If the number tends to come up rather frequently the odds of it being drawn again are higher than drawing a number that’s seen once or twice in a year. 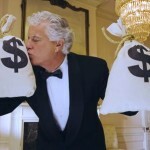 This approach increases your chances of winning the lottery incrementally. In the long run the benefits are significant. It’s that simple. Participating in the lottery with 2 instead of 1 ticket doubles your chances of winning the lottery. It’s basic logic. You can for sure come up with several number combinations that can be prize winning. Remember to take your time when selecting the numbers. You want to cover as many numbers as possible. This way, if you don’t win the jackpot you’ll be taking home some of the secondary prizes. We’re totally aware that this will cost you more, but the point is to increase your chances of winning the lottery and this is by far the best way. We recommend you to have a predetermined budget so you don’t start spending your rent money for lottery tickets. You have to be disciplined else you might spend your money fast, leaving yourself with no resources for tickets for the upcoming draws. You DON’T, I repeat, YOU DON’T want to miss a lottery draw after a longer streak. The odds of your number combination being drawn are as same as with any other. However, from a statistical point of view, the chances of your losing number combination to become a winning one increase with any subsequent draw. Now, once you’ve played a certain number selection for some time stick to it. Never quit! Eventually you’ll win. In the meantime, you will surely win some of the secondary prizes. It should be enough to keep your spirit high and your cash budget afloat. When buying tickets for several draws ahead, you can use one number combination or come up with a different number selection for every individual draw. However, we do not recommend the latter. Pooling your resource with other lottery players not only increases your chances of winning the lottery, but you will also feel good among other people that are interested in the same thing as you are. A formal form of this kind of networking is called a Lottery Syndicate. Since you’re going to cover more combinations the chances of winning a prize are way higher. Although you’re going to share the prizes with your fellow syndicate members expect to receive higher sums of money from playing the lottery than ever before. This type of lottery clubs is a formal institution and all members have a signed agreement. There are less formal lottery clubs that serve as a platform for networking of lottery players. Exchange of strategies and experiences of playing the lottery are the key reasons behind their existence. Attending on some of these events is a great opportunity to see how other players approach lottery. You will be flooded with advices. Maybe you too can show off with your successes and achievements. We mentioned earlier that every number combination has the same chances of winning the lottery. However, going with a combination that consists of consecutive numbers is just not worth it. It’s never going to happen. Never! 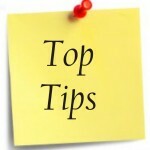 We’d like to include here the use of common numbers, such as birth dates, anniversary dates, home address etc. Using these numbers won’t bring you much good. First and foremost, even if you win the prize will be significantly lower than if say you’ve won with some weird number combination. You will share the prize. Furthermore, the range of numbers in use is bigger than just 31. 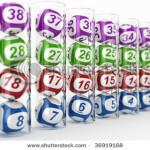 Some lotteries have 50+ or 70+ numbers to choose from. Never underestimate high numbers. If you take a look at the past draws you’ll notice that high numbers come up quite frequently. Make your lottery ticket count. Try to use every advantage you can get your hands on to increase your chances of winning the lottery. After all, we’re all in for the same thing, the lottery jackpot.